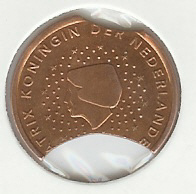 20 EuroCent 2002 with a double border. 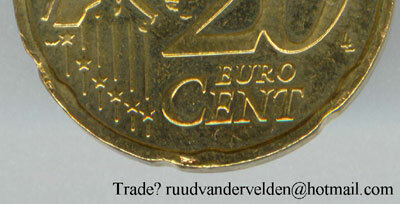 Thank you to Ruud van der Velden for the nice image provided. 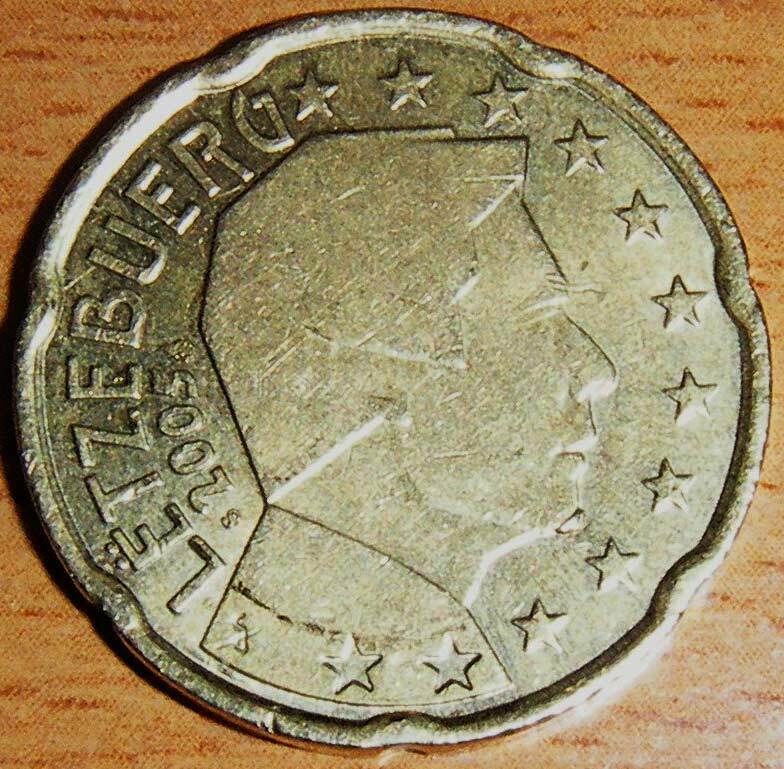 This coin is a 1 Euro Luxembourg 2002 with die error, the die give a bear to the Grand Duke. The images are provided by Danijel J. 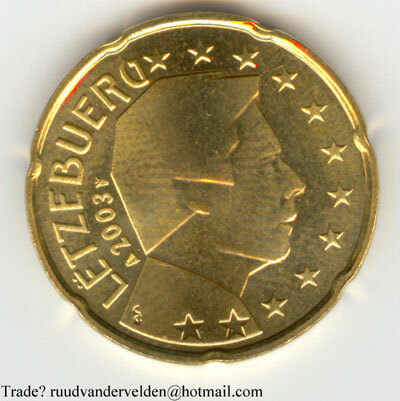 This coin is a 20 EuroCents luxembourg 2005 with die error, the die give a bear to the Grand Duke. 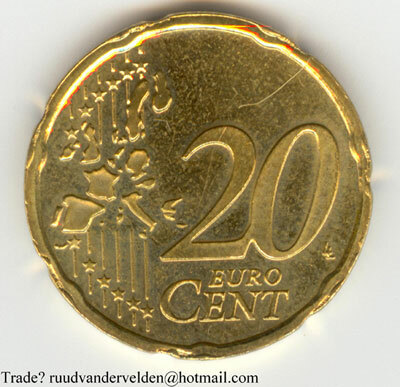 The images are provided by Vahe A.